May 20th: First Annual STEAM Carnival! 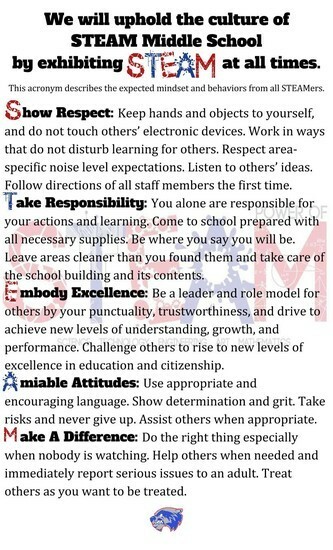 For more info, check out the PTO section of this newsletter! 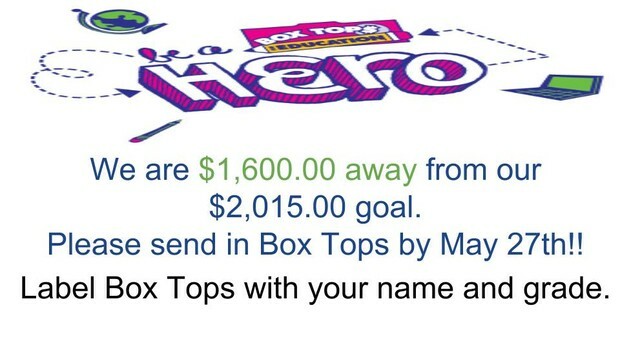 May 27th: Box Tops are due! Stay Up-To Date With the STEAM Carnival! 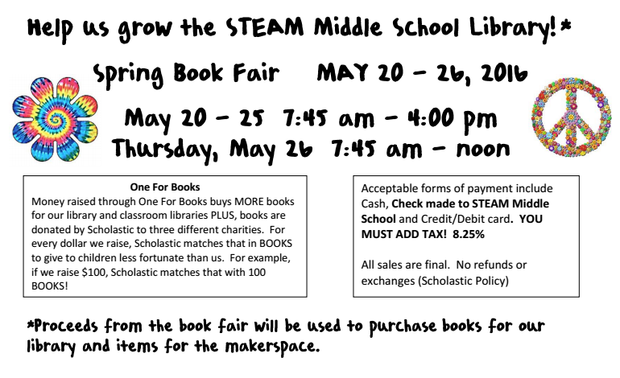 Our first Annual STEAM Carnival is Friday, May 20th! What better way to close out our inaugural year than with a celebration like this? 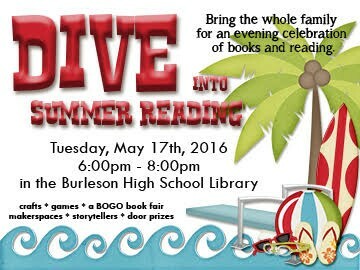 Join us beginning at 6 pm for a silent auction, photo booth, book fair, and SO MUCH more! 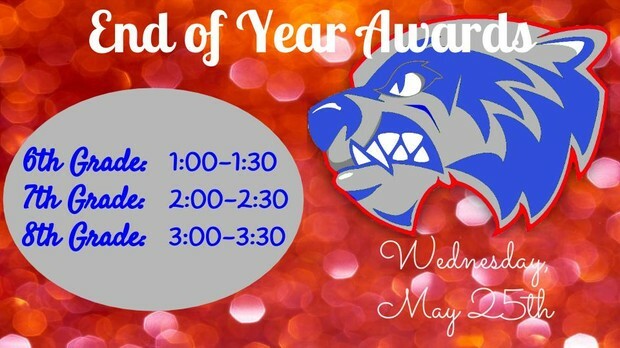 Please join us for the last dance of this school year! 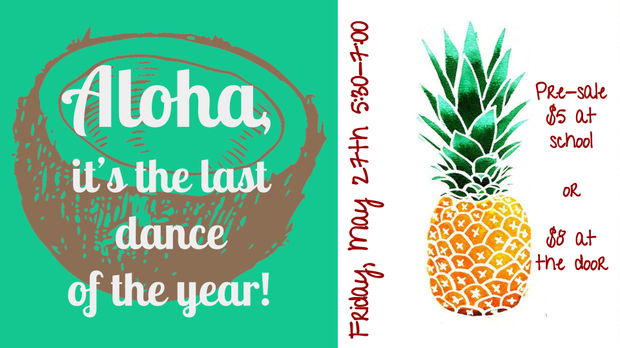 Students may begin to purchase tickets the week of May 23rd-27th for $5, or at the dance for $8. 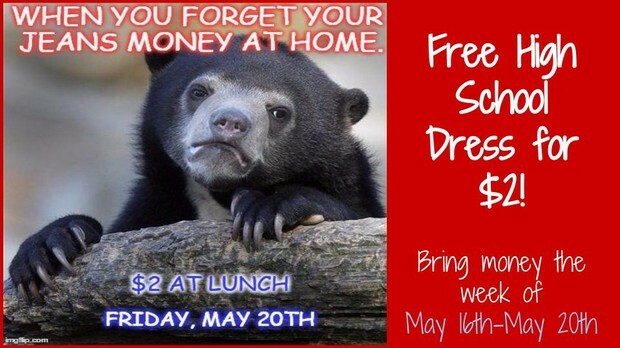 Please remember that dress must be school appropriate. Click here for next year's school supply list! Mrs. Morgan and The Makerspace! Summer can mean a lot of down-time. It is important for students to continue their growth post-school year through reading and engaging educational activities (like visiting the public library or going to a museum). 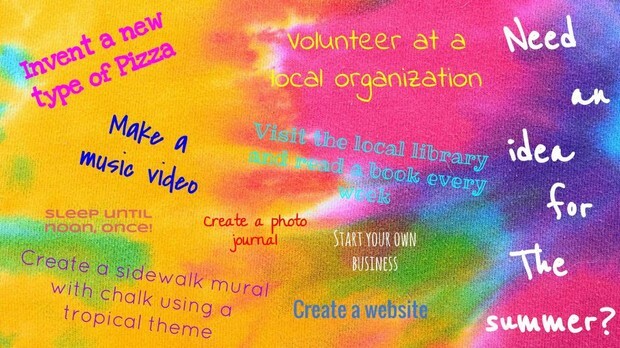 In the spare time, keep their minds stimulated with one of these fun things to do! Attendance is of utmost importance. When students are absent, not only do they miss out on direct instruction, but also they have assignments that begin to pile up. While sometimes being absent is unavoidable, especially if a student has a fever or doctor's orders to stay home, if at all possible make sure they attend every day. In Texas, students are required to attend school no less than 90% of the time, or to be absent no more than 17 days. When students pass 17 days of absences (EVEN excused with a doctor's note and partial absences) they are subject to loss of credit. Loss of credit means that they will not be given credit for courses (a really big deal if they are enrolled in high school classes). We work hard to insure that all of our students have the tools to be successful; thus, we allow students who have 17 + absences the opportunity to make-up seat time in order to avoid credit loss. If your child has reached the 17 day limit you will be contacted and provided with a plan of action to make sure that seat-time recovery is a viable option. Sometimes being absent is unavoidable and necessary but, if students are not required to stay home we ask that they have 100% attendance. Please see the Burleson ISD Attendance Letter for more information. Please see the attached document below for the STEAM Spring Semester Exam Exemption Policy. 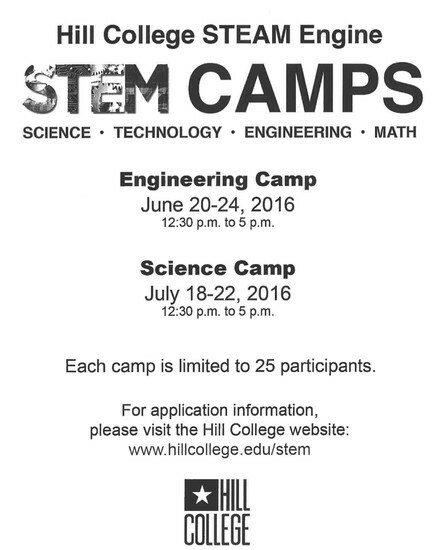 If you have any questions, please contact Mrs. Harrison. If you are unsure what vaccines your child will need before starting school in August, you can access that information on the BISD Health Services website or you may call Nurse Shields’ office at 817-245-1510, or email her at the email address above. Your child must be 100% compliant, and the school must have record of ALL state required vaccines before they will be allowed to start school. If your student is non-compliant, they will not receive a schedule when schedules are distributed. Modules are grade level specific. Assigned to students who show a need for support in core subject areas. Students demonstrate their mastery of knowledge in order to be reassigned to STEAM U. STEAM U and Academic Labs serve as purposeful ways to reach all of our students where they are, while providing targeted opportunities for academic growth. Please sign up for STEAM Middle School Carnival! Items that remain in the Lost & Found by Friday afternoon will be taken to the Harvest House. Students are encouraged to check for missing items, too many things are being left behind! 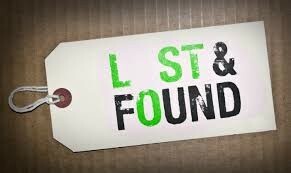 The Lost & Found is located in the office.